Equities start the day lower as we continue to churn around near the highs. I said last week that we’d see 1,600 and I was almost right by Monday! Anyway, as I was driving home last night in my luxury grocery getter I struggled to come up with a fresh way to describe the market. I’ve tapped out most of my go-to stuff like “unloved” and “disbelieved” and “who knows most of us are just making this up” so I yearned for jolt of inspiration. Luckily for me my iPhone kicked onto one of the best workout songs I have: Titanium by David Guetta (if you don’t have this track make sure to click the link and download it). It’s a magnificent song about inner strength and one of its lyrics just happened to be the descriptor I was looking for: “you shoot me down, but I won’t fall, I am titanium”. Let’s make a list of all the things that were supposed to knock us down 1) the Italian election 2) sequestration 3) earnings 4) a deflation scare 5) Cyprus 6) tepid economic data 7) China slowdown 8) “sell in May” / seasonality 9) defensive stocks leading 10) valuation. Yet none of these has had an impact, none of them has pierced the titanium nature of the market. Could something eventually get thru? Of course. What is that? No one knows, it will come out of left field and sentiment will instantly sour. But the current melody features all of the following: some growth, an easy Fed, a few tailwinds (like rising home prices), a dash of disbelief, and the potential for Europe to start cutting rates / stimulating (not saying they will, but the potential is still there). That’s not bad right? Let’s see how we did on another glorious Tuesday. After the open we once again got knocked down by putrid economic data. Chicago PMI fell into contraction territory, 49.0, which was far below expectations of 52.5. Someone needs to send a banker over to Chicago PMI HQ and tell them they need a buyback stat. Man, how bad have these regional manufacturing numbers been in April? Well let’s find out…take it away Dawson. SURVEY SAYS: *ding* Philly Fed 1.3 (slight growth). *ding* Dallas Fed -15.6 (as bad as Romo in the playoffs). *ding* KC Fed -5 (as bad as Alex Smith is gonna be). *ding* Richmond Fed -6 (ummm....I got nothing…what’s up with Richmond anyway). *ding* Empire State Fed 3.05 (slight growth). Wow, not exactly roaring data is it, one would think the market would be much lower (cue the song). There were two pieces of economic data today that beat so I’d be remiss if I didn’t point them out. Consumer Confidence came in at 68.1 vs expectations of 61.0 and Case Shiller topped economist surveys (all 20 regions showed YoY price gains..hasn’t happened since 2005), so all was not lost. The S&P bottomed an hour into the session and proceeded to climb all the way thru lunch landing on 1,596, within spitting distance of all-time highs. I honestly couldn’t have asked for a better morning to reinforce my first paragraph, it’s like the market is wrapped in an Iron Man Mark VII suit (yea I’m gonna see it, so what). There were couple stock movers today worth mentioning so let’s get those out of the way. PBI cuts it div and fell 15% while earnings losers included CMI (-6%), NEM (-4.5%), PFE (-4.4%), and MAS (-4.8%). BWLD lost the wind beneath its wings falling 4.6% but this one has had a monster run YTD. Winners were BBY, IVZ, AMD, AVP, and AAPL, which launched its bond offering today (get ready to hear the term iBond endlessly). We closed the day at 1,597, another new all time high, and we enter May up 12% YTD. Quite an amazing run that few would’ve predicted as we started the year. Let’s end this droning monologue with a quote from the great JP Morgan because it has relevance to our current situation: "The man who is a bear on the future of the United States will always go broke." Final Score: Dow +14bps, S&P500 +25bps, Nasdaq +71bps, Rus2k +53bps. Quote of the day: “Over the last 15 months we've been a net seller," he said. "We're selling everything that's not nailed down, and if it is nailed down we're refinancing it. It's almost biblical. There's a time to reap, and a time to sow. We're harvesting." Apollo's Leon Black at Milken Institute Global Conference. Need another reason to explain why volume is falling, here you go: The stock market is shrinking. The number of companies that individual investors can buy shares in is in a breathtaking decline, continuing a fall that's been years in the making but that's accelerated this year with its record-breaking start to takeovers, mergers and buyouts. The number of publicly traded companies always ebbs and flows, but the current number has fallen steadily since at least 2000. At 3,678, the number of companies available for the public to invest in is much closer to the low of 3,069 in February 1971 than to the high of 7,562 in July 1998. Did you know Girl Scout cookies take in $800mm a year? My God…that’s a lot of Samoas. Ok, here’s your “Sell in May” link. Read thru it and decide for yourself: In the United States, the first quarter of this year presented a modest bounce back from the fourth quarter's flat economic performance. However, the emerging trend in economic data both here and abroad suggests that the economy may once again be entering a soft spot as it did in the spring of each of the last three years. 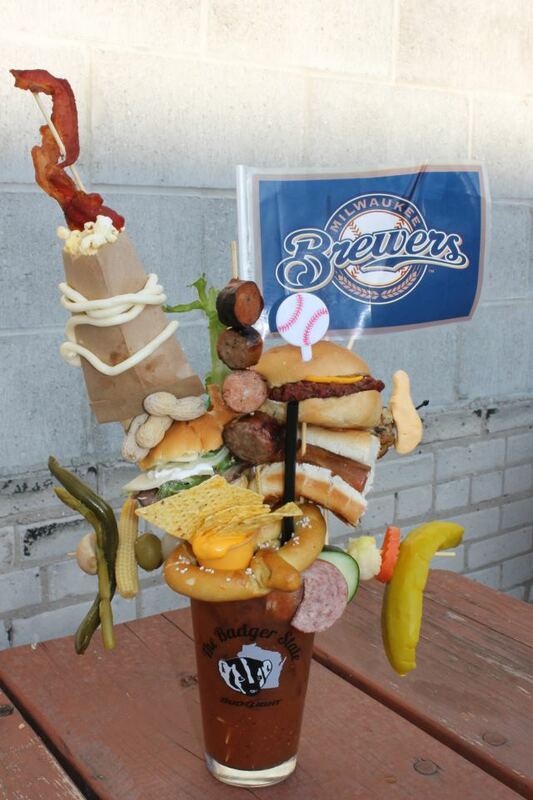 Wisconsin might be the greatest of all the States. Is that a bag of popcorn? I’ve never seen 5 words, on the inside of a tunnel, that have had a bigger impact on me than these. We’ll end tonight with what might be the greatest alley-oop of all time. Can’t say I’ve seen anything crazier than this.